My mom once said that a perfect honeydew melon is better than chocolate. Honeydew really is one of the great joys of summer. When it’s in season, it tastes like candy, only better. It needs no adornment, but when you do decide to dress it up a bit, be prepared – it will knock your socks off. In this particular dish, the mint, lime, honey, and tequila all work together to further enhance the flavor of the honeydew, without overpowering it. As always, with so few ingredients, quality really matters here, especially with the tequila. You really do want to use a good quality tequila here – no Cuervo! Cut the honeydew in half and scrape out the seeds with a spoon. 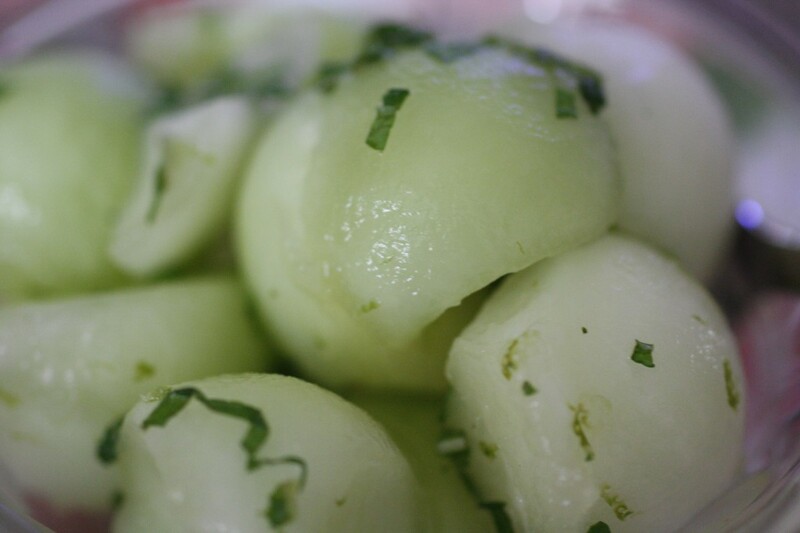 Using a melon baller, cut the melon into little balls (you can cut the melon into 1 inch chunks if you don’t have a melon baller). Add the tequila, lime juice, lime zest, honey, and salt. Stir to combine, refrigerate for at least one hour. 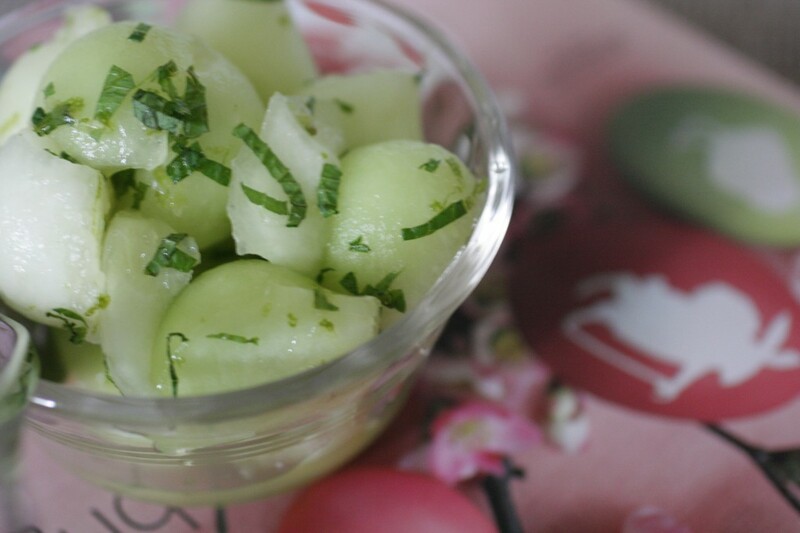 Prior to serving, cut mint leaves into a chiffonade and sprinkle over the melon. Serve. Maris, it’s a tasty way to drink tequila, too!